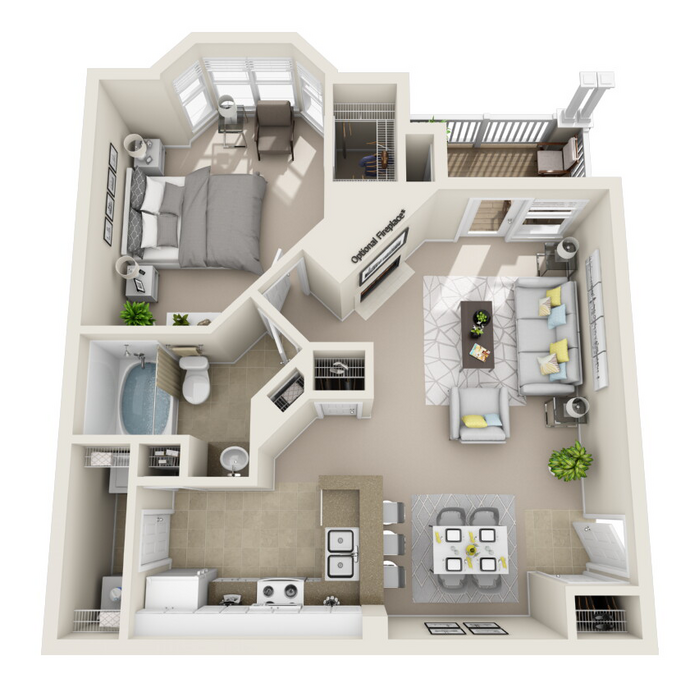 This comfortable one bedroom residence features a wraparound kitchen that leads to an open concept dining and living room space, as well as a spacious bathroom and light-filled bedroom with oversized wndows. This open-concept corner unit features a galley-style kitchen that opens up to an ample living and dining area, and culminates in a private outdoor deck. The spacious bathroom connects to the master bedroom, which is filled with natural light and includes an ample walk-in closet. 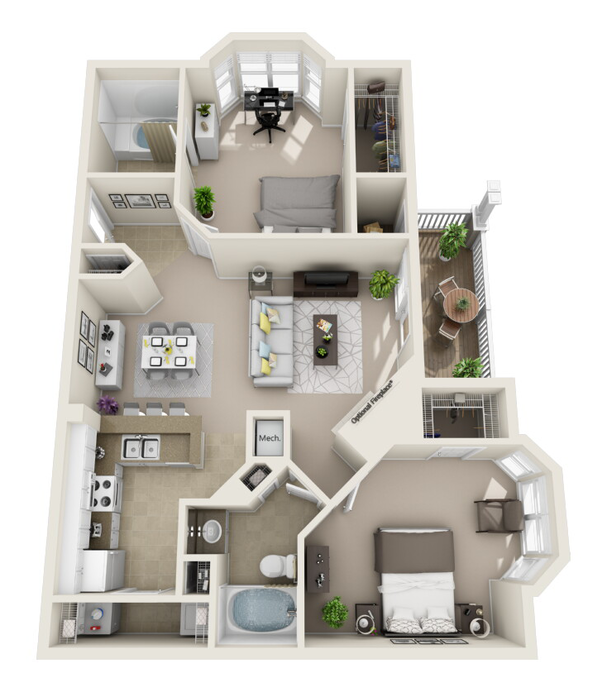 This spacious two-bedroom has a unique design anchored by a flow-through kitchen, living and dining space that opens up to a scenic patio/deck. Each bedroom connects to a full bathroom, and comes accented with oversized windows for an abundance of natural light. 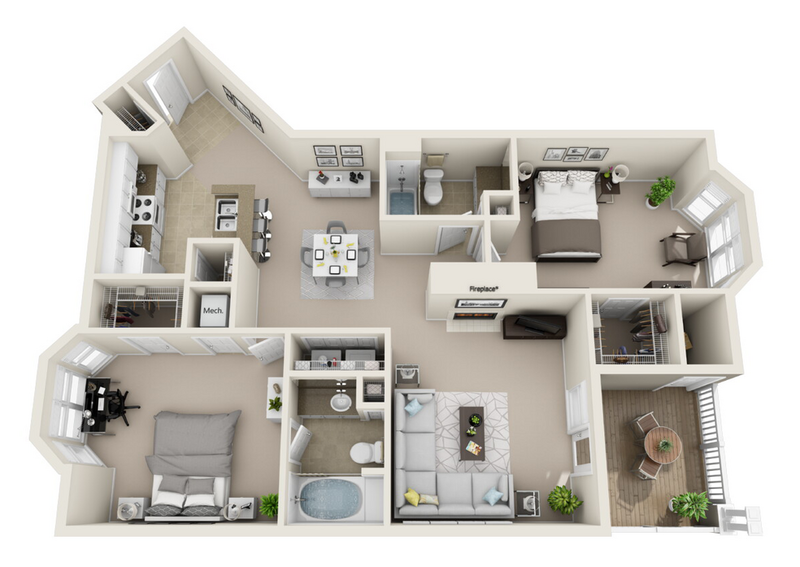 This two-bedroom residence offers the perfect blen of shared and private spaces. The kitchen and dining area connect to form the ideal space for entertaining, and a cozy living room leads opens up to a private patio/deck. The two bedrooms lie on opposite ends of the residence, each pffering ample space and private bathrooms. 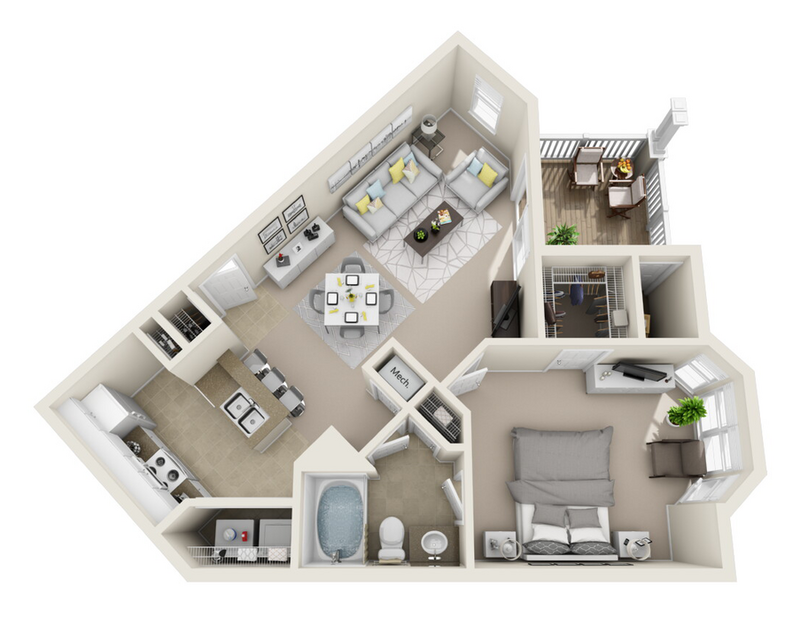 A spacious three-bedroom, two-bathroom residence, the Savannah was designed with a central kitchen, dining and living room space for gathering and relaxation. 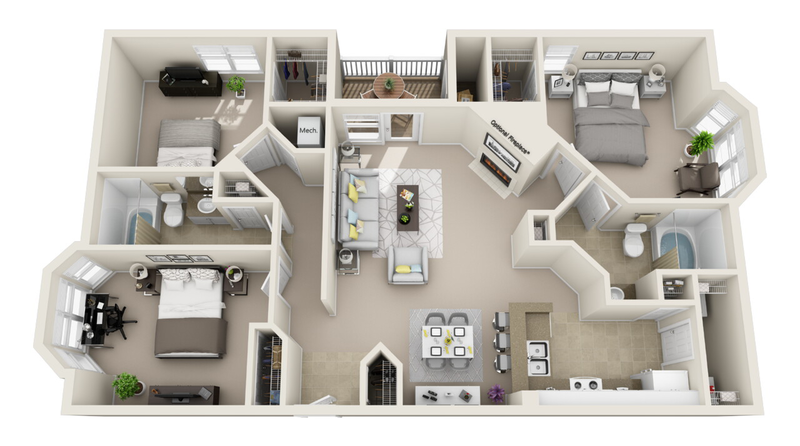 The ample bedrooms were designed with spacious closets and oversized windows that fill each room with natural light.